DORTMUND, GERMANY - AUGUST 26, 2014: Panning shot shot of the Signal Iduna Park Stadium. This is the home Stadium of Borussia Dortmund, one of Germany's best football (soccer) teams. 4k00:15DORTMUND, GERMANY - AUGUST 26, 2014: Establishing shot shot of the Borusseum at the Signal Iduna Park Stadium. 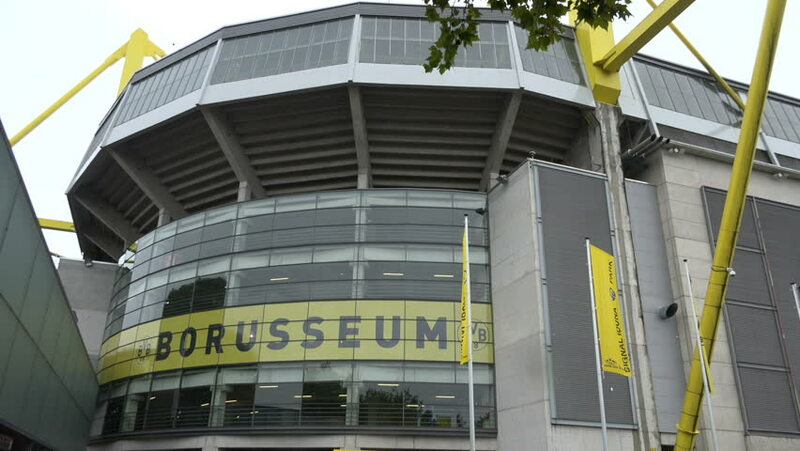 The Borusseum is a museum and fan shop for the local football (soccer) team BVB09. hd00:0721.08.2015 Navigation on the Moscow river. Russia. 4k00:0825/05/2015 Kiev, Ukraine. Train moves along arrows. Train changes direction. hd00:29Denver, Colorado, USA-July 20, 2016. View of the Arapahoe Village Center light rail station. hd00:15City detail - cold glass and concrete building with a bare tree before it.